Tired of making minimal interest at the bank? Want to make your money work for you? 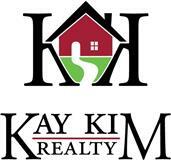 Kay Kim Realty can help you invest with confidence! Call us at 770-414-4044 or fill out the contact form below to speak with an investment specialist.